Portuguese footballer Cristiano Ronaldo has an estimated net worth of $450 million. In 2009, Cristiano Ronaldo joined Real Madrid from Manchester United for a transfer fee of $132 million, which made him the most expensive soccer player in the history of the sport. He currently plays as a winger or striker for the Juventus Football Club and is the captain of the Portuguese national team. Ronaldo has one of the highest football salaries in any league with $35.04 million annually including bonuses. 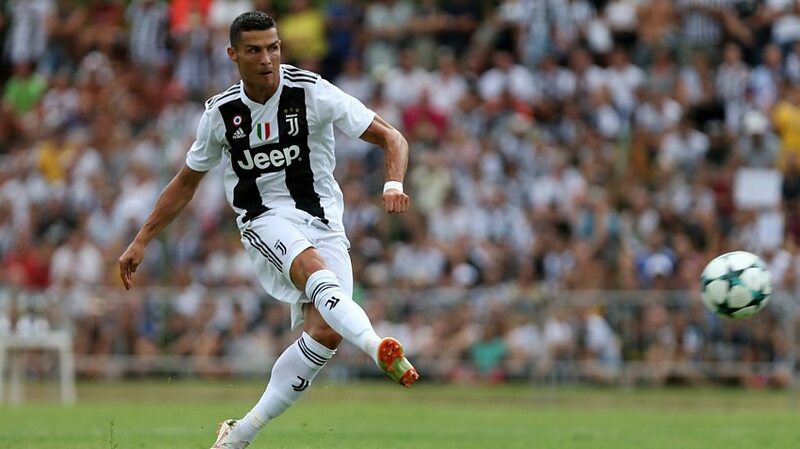 Ronaldo has also cashed in on his fame and success, earning $22 million annually off the pitch thanks to deals with Nike, Castrol, Konami, and others. He is the second football player when it comes to endorsement earnings, trailing only David Beckham. In 2012, he became the first player in La Liga history to score 40 goals in two seasons. The Portuguese winger has more Twitter followers than any other athlete in the world and Facebook's most popular athlete. Ronaldo became the most expensive footballer in history after moving from Manchester United to Real Madrid in a transfer worth $131.6 million (€93.9 million). He is no relation to Brazilian soccer star Ronaldo. His father, Jose Dinis, named him after his favorite actor Ronald Reagan, who was the US president at that time. The below financial data is gathered and compiled by TheRichest analysts team to give you a better understanding of Cristiano Ronaldo Net Worth by breaking down the most relevant financial events such as yearly salaries, contracts, earn outs, endorsements, stock ownership and much more. Total value of the “Pestana Hotels” where Cristiano Ronaldo is one of the partners. They will be building four hotels valued at $80 million with CR7 branding.